Recursive listing option enables collective email preview dispalying all emails. Along with Lotus Notes NSF Forensics, the tool can Perform Forensics of 14 Other Email Application Also. Create a New Collection:-To create Fresh Collection. Find Option:-To automatically locate the nsf file from local storage. When software completes the scanning process, then NSF forensics tool loads the file in recursive manner in the left panel of the software. Click on the email to analyze it in different preview modes like Hex View, Properties View, Mime View, HTML View, RTF view, Hierarchical view etc. If you want to perform email discovery then click on Search Option. It opens with large menu with multiple search option. You can use the multiple operators like AND, OR, NOT to limits your search to specific results. There is also the facility to carry search with added criteria like Subject, To, From, Priority etc. After this hit the search button to proceeds further. When the NSF forensics tool completes the search process then result is shown in right pane. There is option provided by the tool to save the search result for further analysis. After carving out the information, NSF forensics tool facilitates you to export the Lotus Notes NSF file in the format like PDF, HTML, TIFF, CSV etc. Lotus Notes is the collection of the hybrid entities like email, calendaring, address book, database, server etc. It is provides the complete email environment for admin. It stores the data of individuals in their separate databases. Lotus notes is the client sides desktop based application mainly used for the purpose of organizing and displaying database on a user’s system. Why do Lotus Notes NSF Forensics? Lotus Notes NSF Forensics tool enables the analysing and examination of a collection of NSF files. Separate collections of NSF files can be created so as to make the forensic search a more organized process. The deleted NSF mails and attachments play vital role in investigation process. Recover all the deleted mails for evidences with the recovery options in the tool. Both damaged and corrupted NSF mail data can be easily recovered. The recursive listing of the NSF mails in the software reduces unnecessary efforts consumed while manually scrolling folders for desired mails. Mails can be enlisted in the parent folder for investigation with the recursive listing option. The search feature in the tool streamlines the vast collection of mails so as to yield better results. The NSF file can be searched for mails and attachments containing special keywords with both general and expression based search options. Prior to the investigation process the investigation report of Lotus Notes is also generated in a representable form. The output report can be generated in any of the formats-CSV for headers, HTML, Adobe PDF, TIFF image and single message file, etc. How can the mails be arranged according to their dates? "For the investigation of a case we are handling the number of mails in NSF files is quiet large. Is it possible to sort them and search them according to their dates?" Yes, the mails can be arranged according to their dates. Once the mails are scanned they are arranged in a hierarchical order. Clicking on the attributes of the field names will arrange mails in ascending and descending order according to their dates. How to search for NSF files in the machine under investigation via Lotus Notes NSF Forensics utility? "There are a number of NSF files stored on the computer under investigation. Can all the files get detected for investigation?" The file detection option in the system ensures that all the NSF files present in the machine or on a selected drive are detected. The feature ensures efficient investigation. Is it possible to store the investigation result in a representable manner? "After the successful investigation of Lotus Notes, will it be possible to generate the export report in a manner that can be represented for litigation purposes?" Yes, the tool generates an export report for every case that can be represented for litigation purposes. The report can be made in Adobe PDF which is a legal and acceptable form for producing evidences and case reports. Are deleted evidences recoverable while using this tool? "While carrying out investigation, we realized some of the mails were deleted from the file. Is it possible to recover the entire mails that were deleted from the NSF file?" Yes, it is possible to recover the deleted mails from NSF files and ensure complete research and analyzing of the mails. As we all know the investigation process require a structured way and methodology so as to yield maximum results. With the Lotus Notes Forensics tool, the investigation process was successfully carried out. Definitely a Great tool with great features! 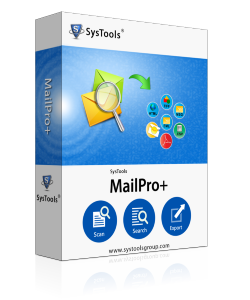 With Lotus Notes Forensics MailPRO+ tool, the difficult procedure of email investigation was simplified with just a few clicks. The search options in the software enabled us to save unnecessary time for searching desired mails. It is a full-featured solution for efficient investigation.